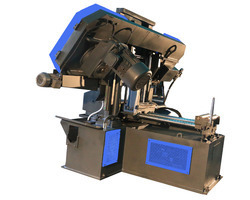 OEM Manufacturer of a wide range of products which include nc control double column band saw machine. We are specialized in offering Double Column Band Saw Machine NC Control to the clients. Our offered machines are designed and developed as per the recent technological scenario in this domain. Along with this, with help of state-of-the-art technology and quality materials, this quality checked range of machines is manufactured.